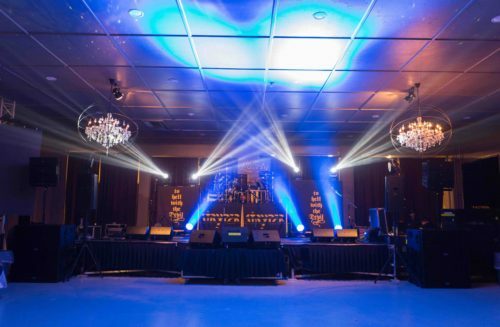 The Liberty is a popular venue with bands making their way from Texas to Albuquerque on their tours, but it’s also a rental space for private events. With this in mind, Pennell has always had to be mindful of the need for a versatile system. From day to day, staging is resized or removed altogether to accommodate the varying events booked at the venue, which has a standing capacity of 500 people. They currently have their own Mitus 206 line array, but Pennell supplements with additional boxes, as needed. Total Productions was established 12 years ago, though Pennell has worked in sound and production for over 33 years. Having worked with big names like Garth Brooks and Shenandoah in the past, now he does it all, including installations, lighting and rigging, sound engineering and production management. 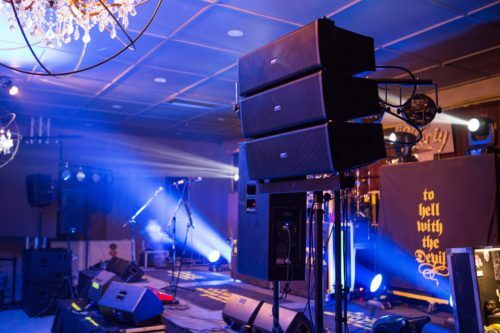 The full service production company provides a variety of services for anything from large conferences and music festivals to dinner theater or big-name concerts, and they do it, Pennell says, with a commitment to customer service underlying it all. The concert was a success, the band’s sound technician was thrilled and the owner of The Liberty has plans to supplement their FBT line array as a result of the experience. Pennell was happy to add that the he’s currently in negotiations with the venue to supply additional boxes for their house rig.